The Wildnerness Mushroom Foray is an autumn experience offered by Long Point Eco Adventures that is so quintessentially Canuck it’s been recognized by the Canadian Tourism Commission as a Signature Canadian Experience.A team of experts helps participants identify, hunt for and prepare mushrooms and pair them with award-winning wines from Burning Kiln Winery. 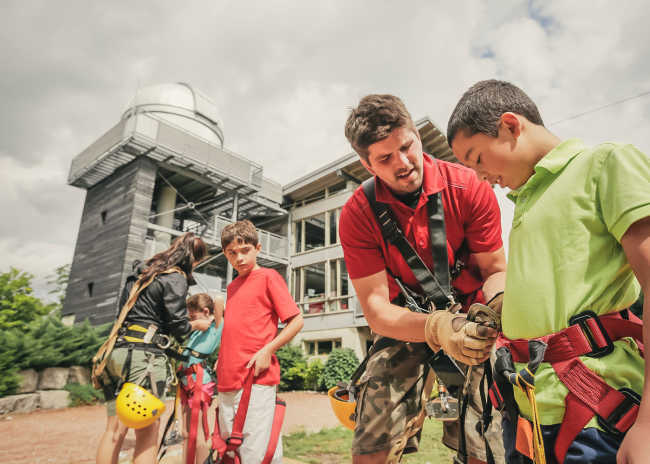 This daylong experience can be upgraded to a two-night vacation that includes gourmet meals, star gazing at the Long Point Observatory and a guided zipline canopy tour. What follows is blogger, Ayngelina Brogan&apos;s personal account of her trip. My partner, Dave loves autumn and prefers it to summer. I guess I would as well if it didn&apos;t lead to the crushing cold of winter. This year we&apos;ve been busy in the midst of launching our new restaurant Loka. We&apos;re so fortunate to have the opportunity, but this week we were feeling a bit burnt out. It’s times like this we need to get away, even if it’s just overnight. Ontario&apos;s Southwest is not a new destination for us. We traveled there in the spring to go foraging for edible plants. We loved how it was less than 2 hours away and without all the crazy cottager traffic, so it seemed like a perfect choice for a quick fall getaway. Long Point Eco Adventures is located at Long Point - a designated UNESCO World Biosphere Reserve, which contains a large area of wetlands and woodlands. There are lots of animals, birds and some plants that do not exist anywhere else in Canada. The company runs a number of eco-tourism programs from an annual mushroom foray to Zodiac boat tours and mountain biking. 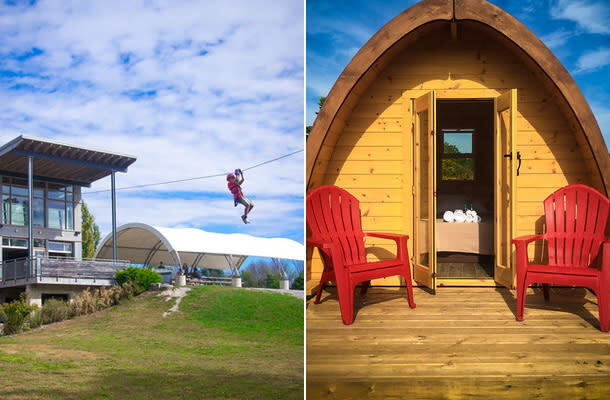 There are also wilderness suites and newly constructed pods, which we stayed in, so you can go glamping overnight. Mountain biking seemed too strenuous as we wanted to recharge, but foraging for edible mushrooms in the Carolinian forest was perfect. 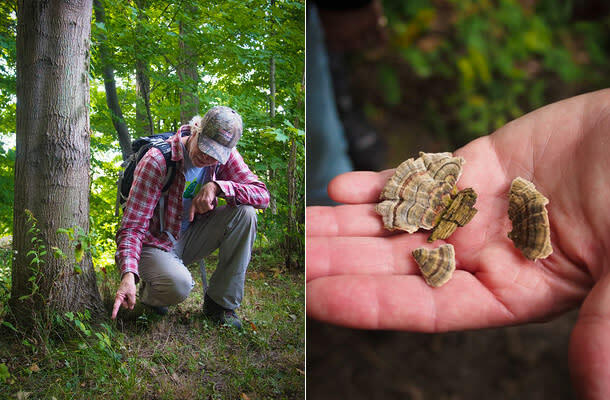 We took a tour with naturalist, Robin Tapley and spent two hours wandering trails looking for edible mushrooms. Robin also shared other tips like how to make raspberry tea and how to spot animals. At the very end of the walk we found puffball mushrooms, which are highly prized. We returned with them, as the next part of our tour was a mushroom lunch and learning from neighbouring Burning Kiln Winery how to pair the flavours. We then spent the afternoon wandering the different trails before heading across the street for more wine at Burning Kiln Winery. Once a region known for tobacco farming, the winery repurposed a tobacco pack barn and now incorporates the region&apos;s heritage on its wine labels. We stayed for dinner as a local restaurant hosts a food trailer on site with suggested wine pairings. The next day we spent the morning sleeping in as our zip line adventure, also on site, was booked for 11 am. I went ziplining in Ecuador with my mother and sister but I knew it would be a bit different at Long Point Eco Adventures. Here the course is 2.5 hours with suspension bridges and a final rappel. There&apos;s also an opportunity to take a night zip line if you are fearless. When we left Long Point Eco Adventures on Sunday Dave was already talking about coming back. We loved that the pods had beds but no electricity so you felt like you were camping but you were still comfortable. We feel like we may be letting the secret out, but this was the perfect weekend recharge for us. Everything was a short walk away and we could just relax in the country. We heard next year they&apos;re hoping to put some pods in the forest underneath the ziplines, which we would love to try. This post was in partnership with Ontario&apos;s Southwest. Ayngelina Brogan’s goal is to inspire others to lead an adventurous life through travel and food. Her blog, Bacon is Magic, shares the stories of how a professional eater and a professional chef balance their passions of love and travel to create a delicious life at home and abroad.